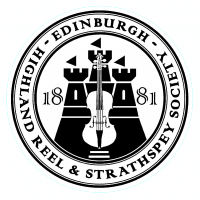 The Edinburgh Highland Reel and Strathspey Society was formed over 100 years ago by a group of people who wanted to foster the playing of traditional Scottish music. Our aim today is very much the same. In fact the EHRSS was founded in 1881 and was the first of the strathspey and reel societies to be established. The EHRSS now has a Junior Section. We are registered with the Scottish Charity Regulator (No. SCO06204).